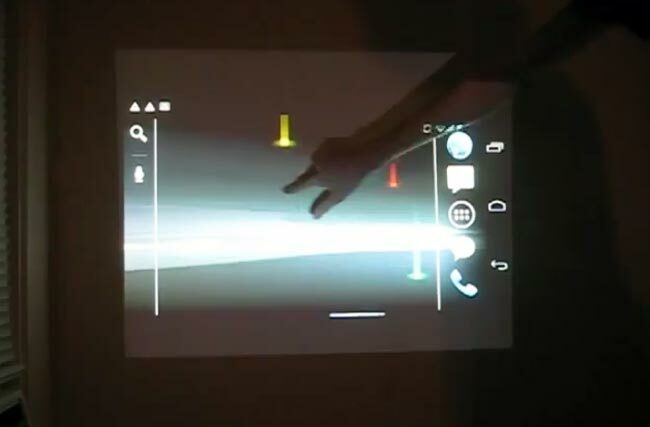 What happens when you combine a Samsung Galaxy Nexus with a Microsoft Kinect and a projector? You get this awesome giant android touchscreen device created by DDRBoxman. The video below shows the giant Android touchscreen device in action, and it was created using a Windows PC using Simple Kinect Touch, plus a Samsung Galaxy Nexus, a projector and a Microsoft Kinect. You can find out full information on how this was done over at recursive penguin. Have a look at our Samsung Galaxy Nexus Reviewto see what we thought of Google and Samsung’s first Android 4.0 Ice Cream Sandwich smartphone.